2013 has declared itself to be The Year of Ordinary Magic. Because you don’t have to be a child to see the world through the eyes of one. I hadn’t really chosen a word for this year, though I had thought about declaring it the Year of Simply Being. You know, no agenda, no plans to lose this or gain that, just being. But then, just as last year declared itself the Year of Discarding, 2013 quite suddenly decided to be The Year of Ordinary Magic. Which is not just any kind of magic, but rather the simple, everyday kind. The magic in the firefly that dances outside your window. The shape of a shadow that does not reveal its source. The flower that only opens in the moonlight. The joy of falling backwards in the snow, not caring if you get some down your neck, up your sleeves, in your hair. There is wonder all around us. But sometimes, we forget to remember to look. She held me to that promise, and we made a plan to make snow angels and then post the results. And then we had to wait for the right weather, and then for me to get over the flu. And then we invited another friend, debi, who lives a magical life in Texas, to join us by making her own kind of angel, because, well, snow isn’t easy to come by in Texas. So yesterday morning I donned my husband’s big old gold and purple hooded puffy Vikings coat and a pair of red and black ski pants and my purple rain boots (yes, I looked like a dork) and I went out to the front lawn, (yes, the front, where everyone could see) and made a snow angel. I can’t remember the last time I did that. Perhaps when my son was a child, twenty-some-odd years ago. And it was fun. It was snowing big, fluffy snow-globe flakes. The snow is so deep that it caught me gently as I fell backwards, and I lay there looking up at the grey January sky, and giggled. And it was magic. One tiny moment of ordinary magic. So here’s the thing: we want you to join us. Look for the magic, all year long. And then share it with the world. It doesn’t matter how you choose to participate. With a photo, a blog post, a tweet or a status. It doesn’t matter how often. Once a week, once a month, regularly, sporadically, or only just once. Because it’s magic, remember? And there are no rules in magic. And every so often, let it catch you, looking. This entry was posted on Wednesday, January 2nd, 2013 at 8:36 amand is filed under . You can follow any responses to this entry through the RSS 2.0 feed. You can leave a response, or trackback from your own site. you are the magic in today. i cannot stop smiling this morning. magic begets magic. !! smooches! There are many new angels in the air. I will be watching, and listening. Just a touch of a wing will do. thank you for letting me see the everyday as magical….and letting me/us participate whenever we want to without the pressure of, well, pressure. I’m in Texas, too, near Austin, and it doesn’t snow often, but when it does, I always make a snow angel. The last time was maybe two years ago. I think perhaps because it’s rare, snow just seems magical to us. Fingers crossed we get some Friday morning. You need to go outside and skip, if you haven’t already. I guarantee you will feel 10 years old and your heart will fly! And there is so much ordinary magic to notice when we’re wide awake. Love it! So beautiful. 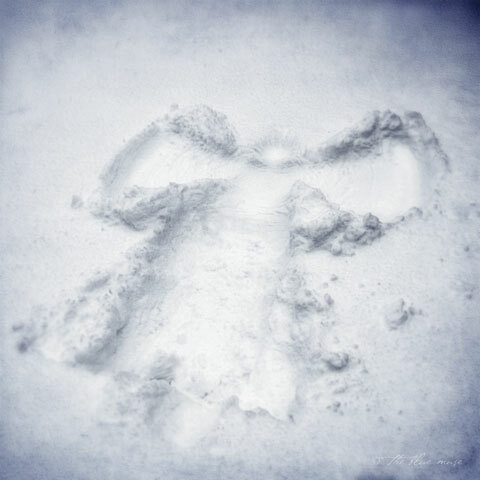 I grew up in Upstate NY, so I am very familiar with snow angels. Like Debi, I now live in Texas, so I will have to come up with other ways to experience ordinary magic. Fortunately, I have a hubby who loves to do this type of thing too. There can never be too many small moments! Love the magic and love your snow angel! Love this. Love your writing. It’s its own kind of magic. i have so resonated with this thought. ordinary. simple. your post speaks volumes to what i try to do. so i am jumping on board. i am one still frame. I love looking for magic! Can I play on my blog and pinterest? Late to the game, but I am going to add it to my blog today. I found you via Sweetleaf Notebook on a Photo Heart Connection Page. I love your idea of Ordinary Magic! (See my blog name!) May I join you ? I came across her participation with this from Michele at sweet leaf. I love the Rules or lack of rules… right up my ally thanks… gonna fund my magic and will be seeing back over here. i find magic every time i read your writings, dear kelly … i do. thank you for opening our minds, hearts and eyes to all the magic about us … this is just such a beautiful thing to do!! After a disheartening week with my “at risk” students, this idea and reminder comes at a perfect time. I’m going to start consciously archiving all the little things I used to notice.